Based on World Bank and OPEC figures, I came up with this new chart. 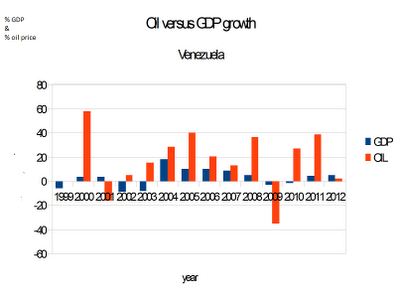 What you see yearly GDP growth and oil price variation (OPEC basket). 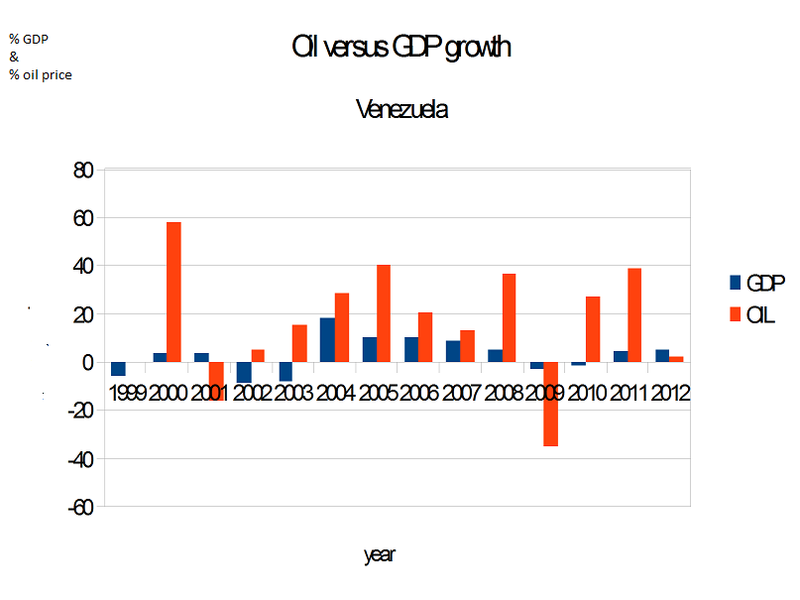 The developments are not synchronous but they tell us a story: oil hikes are becoming less and less productive for the Chavezcracy. Unless there is an incredible oil price rise next year, Venezuela is heading for a tough time...even if it still has record oil prices...so much is mismanagement.